WBC heavyweight champion Deontay Wilder admits that he recently reached out to the camp of Wladimir Klitschko, to see if the former unified beltholder was considering the possibility of a return. Rumors ran wild earlier this week, when a sports website in Ukraine posted what appeared to be legitimate story about Klitschko reaching a three fight deal with streaming service DAZN, for a planned comeback starting in May. The same site would late retract the story and claim it was posted as an April Fool’s joke. However, DAZN has realistically approached Klitschko with a very lucrative offer to make a comeback. Wilder, who at one time was used as a sparring partner by Klitschko, became interested when the comeback rumors began to run wild. “There’s a lot of money in the heavyweight division right now,” Wilder told Tha Boxing Voice. “It’s a great time to be a heavyweight right now, why you think all these guys coming back – it’s an amazing time to comeback. “If he comes back, we’ve already reached out to see if this was real, if he comes back and they’re serious, because of what’s going on in the heavyweight division, why not have a more exciting fight. 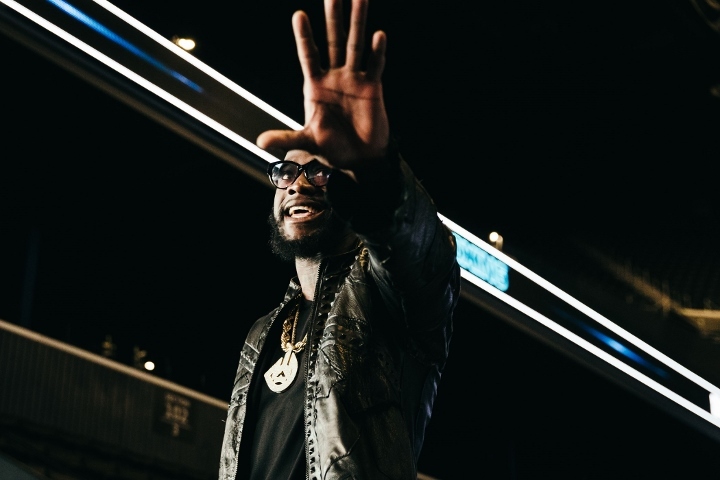 Wilder is scheduled to return on May 18th, when he defends his title against mandatory challenger Dominic Breazeale at the Barclays Center in Brooklyn, New York. Klitschko has been out of the ring since 2017, when he suffered an eleventh round stoppage at the hands of Anthony Joshua. There was a rematch scheduled for the fall of the same year, when Klitschko exercised a rematch clause, but the fight was called off when the aging veteran went in another direction by announcing his retirement.